The Situation: Children wonder, “Why do I sometimes do what is wrong—even when I don’t want to?” For many kids, the spiritual life feels like a tug-of-war. Evil pulls on one side and good tugs on the other. The flesh battles against the Spirit. The Solution: The “Spirit of life” has set Christians free from the power of sin and death. God’s Spirit indwells (lives permanently inside) every Chris- tian (1 Corinthians 6:19), but many Christians are not filled (directed and empowered) with the Holy Spirit (Ephesians 5:18). 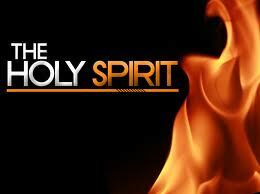 To walk in the Spirit, Christians must be under the full influence of God. What You Can Do: Be an example and live the Spirit-filled life every day. Here’s how: 1) Deny your own selfish interests. Say “no” to self (Matthew 16:24-26). 2) Yield to Jesus Christ who lives in and through you. Jesus is the Master. You are His slave. From now on, He has final say in everything (Galatians 2:20).